Cristiano Ronaldo has urged Real Madrid to sign Angel Gomes from his former club Manchester United, reports Don Balon. 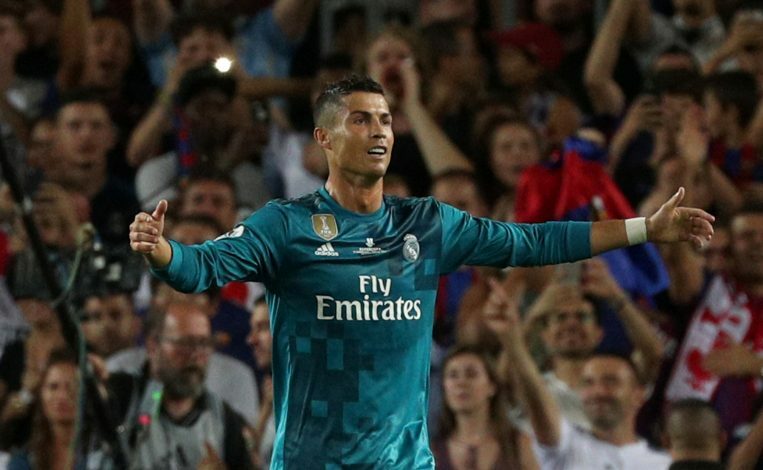 It’s not often that players like Cristiano Ronaldo make a special request to their clubs to sign a player. However, Ronaldo has now asked Real Madrid to sign Angel Gomes from Manchester United. The 17-year-old attacker has largely impressed in the youth setup at Old Trafford. Gomes has made a name for himself as a talented youngster, who is rated very highly by Jose Mourinho. The Portuguese manager even offered the player his professional debut last year in a 2-0 win over Crystal Palace. It was believed that Gomes would have signed a professional contract with the Red Devils last month, but reported interest from Barcelona has forced the player to wait and assess his options. Ronaldo, on the other hand, is trying to ruin the Catalan outfit’s plans by asking Real Madrid to swoop in and sign the player. “If he [Gomes] was Brazilian, people would be raving about him and, if he was six inches taller, people would be going mad.